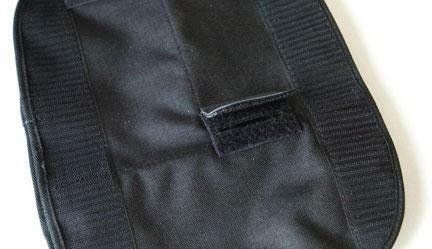 With velcro attachment to fit TOURATECH tankbags. 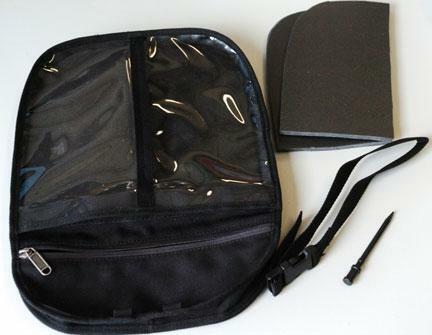 Special made NAV-Bag for Touratech Tankbags with two windows for a PDA GPS, phone or other small electronic devices. On the backside there is a water resistant cut out for cables. 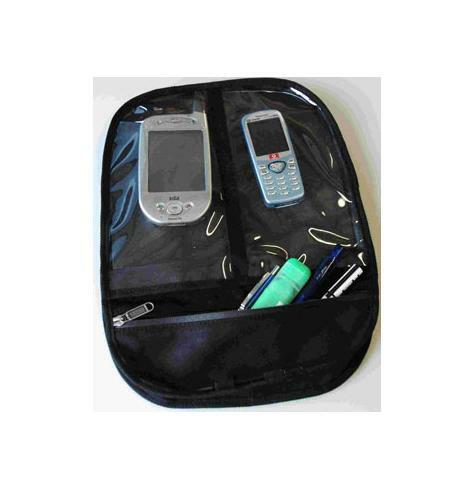 The NAV-Bag has a little pocket with water resistant zip. 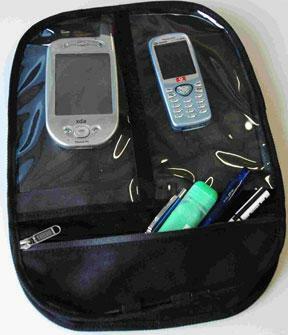 A security strap is included to positively connect the NAV-Bag to your tankbag.